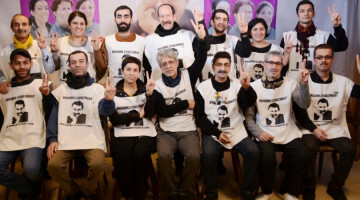 The indefinite non-alternating hunger strike by 14 activists in Strasbourg, France protesting the isolation imposed upon Kurdish People’s Leader Abdullah Ocalan is on day 120, while the mass sit-in continues since March 25 in tandem. 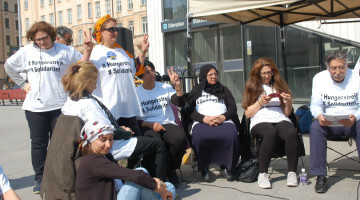 The sit-in is held in the square between the European Parliament (EP), the Council of Europe (CoE) and the Committee for the Prevention of Torture (CPT) headquarters. 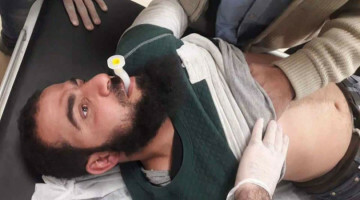 The first week was held as a hunger strike, then the protest turned into a sit-in. 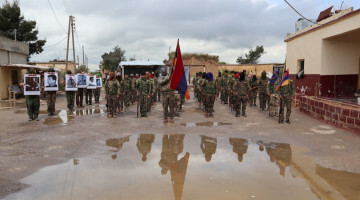 The mass protest coordinated by the KCDK-E and TJK-E was held in front of the CoE for the first 3 weeks, then moved to the front of the EP. 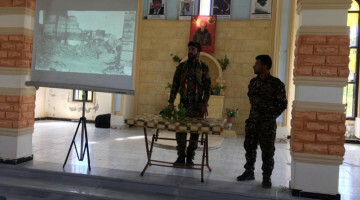 The sit-in is to continue during the 5 week days, and Kurds from various European countries are to attend. The protest is scheduled until 17:00 every day. 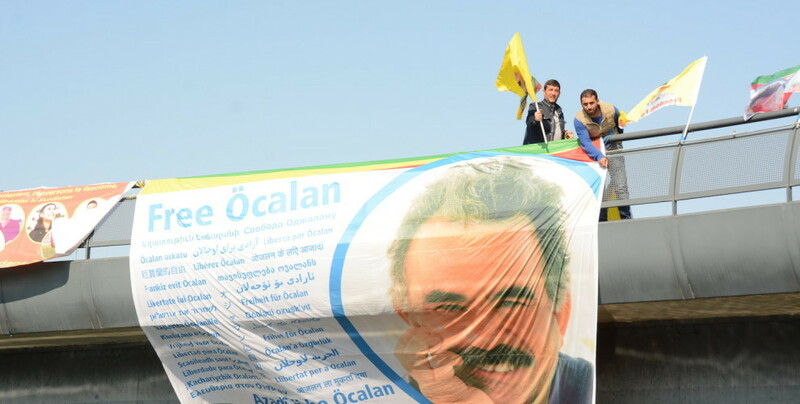 Banners have been put up that read “Freedom for Ocalan”, “CPT and CoE end your silence”, “Break the isolation break fascism”, “Long live the dungeon resistance” as well as flags with Ocalan’s photograph and PKK flags. 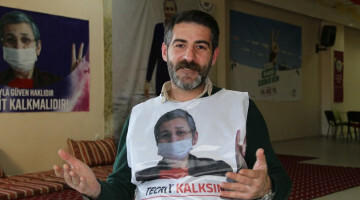 The activists issue announcements and inform the public about the isolation and the indefinite non-alternating hunger strikes led by Leyla Guven. 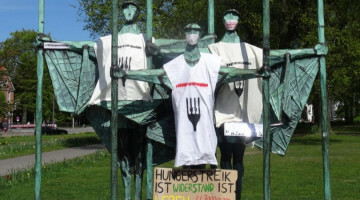 Helene Dersim from the preparation committee stated that the hunger strikes are at a critical stage. 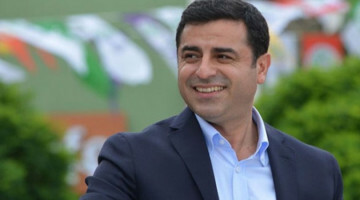 Dersim added that Ocalan is the key to coexistence and democracy and stressed that the Turkish state’s most recent war against the Kurdish people was kicked off by the isolation in 2015. 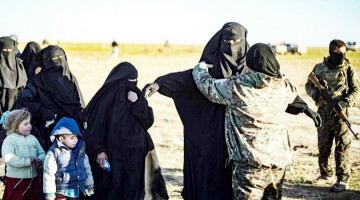 Helene Dersim said breaking the isolation will pave the way for peace and democracy and added that European institutions should fulfill their duties. 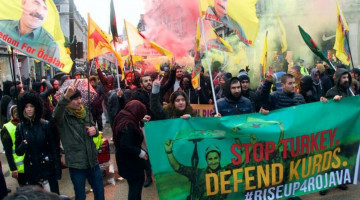 Dersim said they will continue their protests until the isolation is broken and called on Kurdish people in Europe to support the protests. 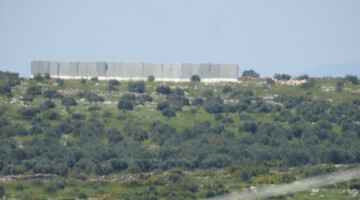 The sit-in will conclude on Friday and start again on Monday.